Wondering what are the best tools for measuring digital marketing performance? We’ve put together the 10 most popular tools small businesses and agencies are using below. In today’s fast-paced world, you either keep up or you get lost. The world of digital marketing isn’t exclusive to this, either. How do you keep up, as a digital marketer, with the trends and the demands of both consumers and marketers themselves? The answer: you need to measure digital marketing performance. You need the necessary tools, tools which measure the performance of your blogs, websites, email campaigns, or whatever other methods you deploy to build the sales of your product or service. 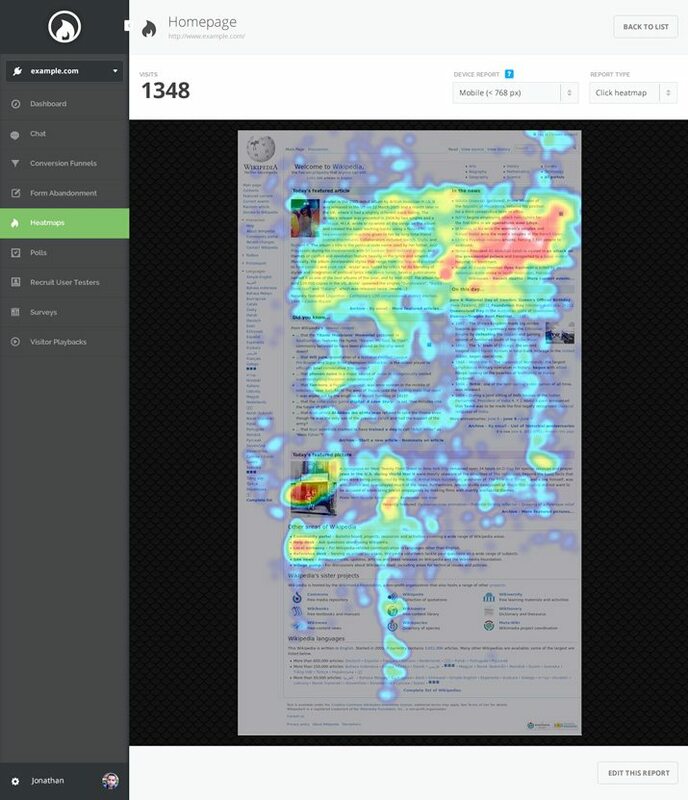 What are these tools, and how can we use them to measure digital marketing performance? Let’s have a look at 10 premiere tools that will easily and efficiently measure digital marketing performance. Want some help with your marketing? Book in a complimentary 15-min marketing blast-off call and get clear on your next course of action. What is it? Cyfe makes monitoring the fine details of your business or website a breeze, and makes all the relevant details of your website available to you, on one screen. Benefits – Cyfe, in addition to monitoring relevant statistics of your digital enterprise, also acts as a project manager by tracking sales, traffic, consumer trends, and much more. Who’s it for? Cyfe is a great tool for marketing or social media managers. It can also be used by website hosts to monitor their site’s data and measure digital marketing performance. Pricing – Cyfe makes a free, limited access version available to everyone. The premium version isn’t expensive, either, at only $19 a month. What is it? 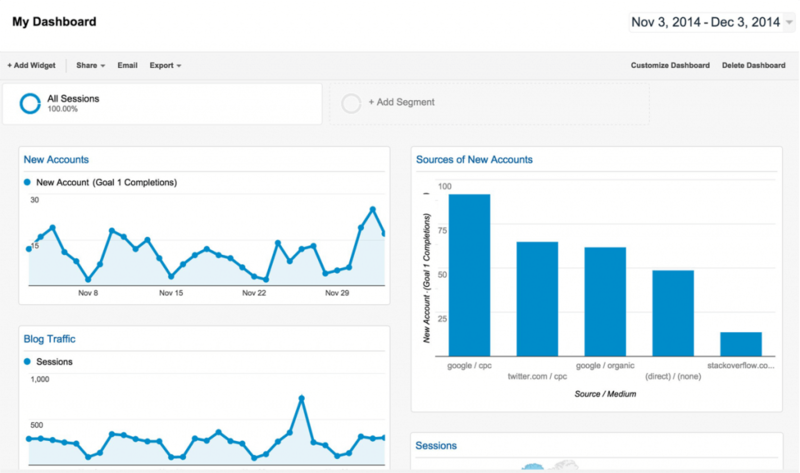 Klipfolio is an analytics tool that makes measuring digital marketing a breeze. In the form of a customizable dashboard, you’ll get an easy-to-read but detailed view of data critical to your website’s or digital business’ performance. Benefits – Klipfolio, first and foremost, presents your site’s data in a readable format. Secondly, it combines data from a variety of sources, such as social media platforms like Moz and Twitter. Who’s it for? We’d say Klipfolio is an application for growing enterprises and small businesses. Pricing – Klipfolio is priced at various stages. Its lowest-priced package is $19 a month or $17 a month annually. Its most prestigious package costs $199 a month or $179 a month annually. What is it? Raventools takes the hassle out of SEO; it’s an all-in-one SEO proofreader, capable of finding the roadblocks in your website’s or digital agency’s traffic. Benefits – On top of utilizing and combining valuable analytics information from platforms such as Moz and Google AdWords, Raventools is especially well known for their prolific link building tool. Who’s it for? Professionals/individuals/agencies looking to enhance the SEO of their site or sites. Pricing – Raventools offers a free trial, after which it costs money to use. Its first tier of product costs $99 a month, and its second tier of product costs $249 a month. What is it? 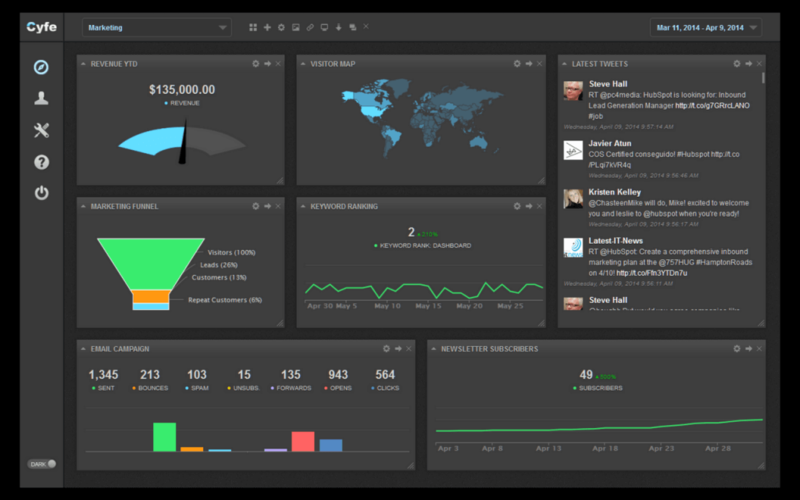 Geckoboard is a tool that’s used to measure digital marketing performance of your team. Geckoboard displays your team’s KPI and measures it in a quantifiable, visible manner. Benefits – Geckoboard helps your team keep its priorities in line, and helps you, as a project manager, keep your team on track. Who’s it for? Geckoboard is for project managers or digital marketing managers. Pricing – It’s priced at $25/month for the starter package, $149/month for the growth package, and $599/month for the company package. What is it? 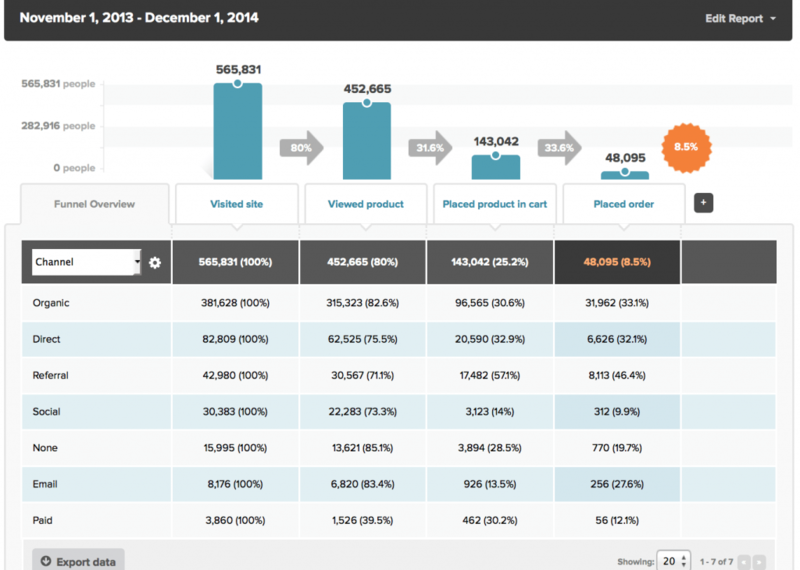 Mixpanel provides analytics of your product as well as the trends of customers viewing or purchasing your product or service. Benefits – Mixpanel can help you or your company better understand your customers through the means of product analytics, funnels, and unique insights. Who’s it for? Mixpanel is for product managers. Pricing – Mixpanel features a free version, a “Startup” version that’s $99/month, and a business version that’s $999/year. What is it? Moz Pro is an SEO tool that measures the metrics of your website, metrics that are critical to your site’s traffic, readability, and success. 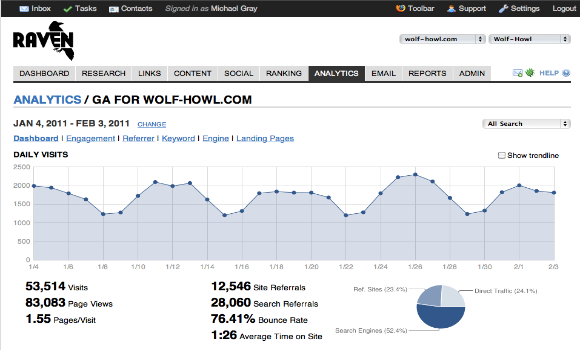 Moz Pro also provides its users with insight into these metrics. Benefits – Moz Pro allows its users to streamline SEO without having to multitask; you’ll stay on top of the elements of your site that often contribute to its success or failure. Who’s it for? 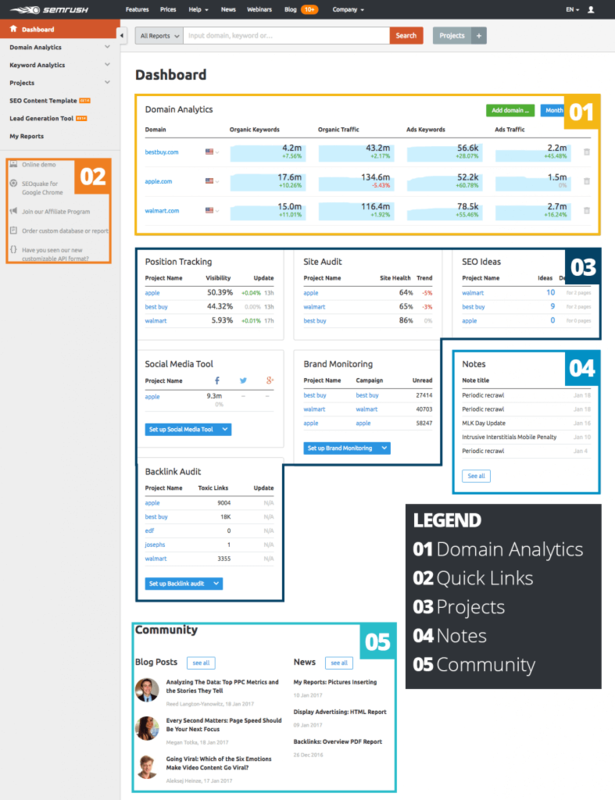 Moz Pro is for SEO, Digital Marketing, or Project Managers. Pricing – Moz Pro is priced at $99 a month for its standard package, $149 a month for its medium package, $249 a month for its large package, and $599 a month for its premium package. What is it? Kissmetrics helps you, as a digital market, get more customers by measuring the effectiveness of your product or service’s marketing channels, engagement metrics, and much more. 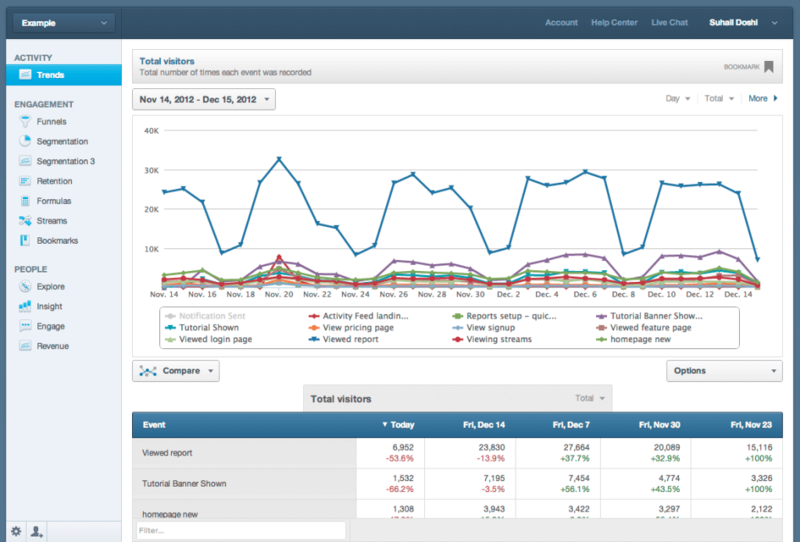 Benefits – Kissmetrics provides easy-to-use, valuable, and straightforward metrics and insights for digital marketers. Who’s it for? Organizations of any size, whether you’re a startup or a large corporation. Pricing – Kissmetrics costs $500 a month for its “Growth” package and $850 a month for its “Power” package. What is it? SEMrush is a comprehensive dashboard that makes monitoring the important metrics that make your website stand out a breeze. Check out some sample SEMrush dashboards to get a picture here! Benefits – Streamlined SEO data has never been easier to understand, analyze, and use to your website’s or business’ advantage. Who’s it for? SEMrush is for business owners and SEO specialists. Pricing – SEMrush is priced by their “Pro”, “Guru”, and “Business” packages which are priced at $99, $199, and $399 respectively. What is it? Simply put, HotJar is a click tracker for your website, a tracker that monitors the frequency of clicks on various pages of your website. HotJar visually represents click frequency by using heat maps. Benefits – By mapping the click frequency of your site, you’ll have potent insight into what areas of your site you need to re-think. You’ll be able to have a firsthand look at areas that might not be so user-friendly! Who’s it for? HotJar is for site managers and digital marketers alike; it’s a unique tool that suits the needs of a versatile mix of individuals! Pricing – HotJar quantifies its payment plans by pageviews/day. A metric of 20,000 pageviews a day will cost $89 a month, whereas the highest amount, 800,000, costs $989 a month. What is it? 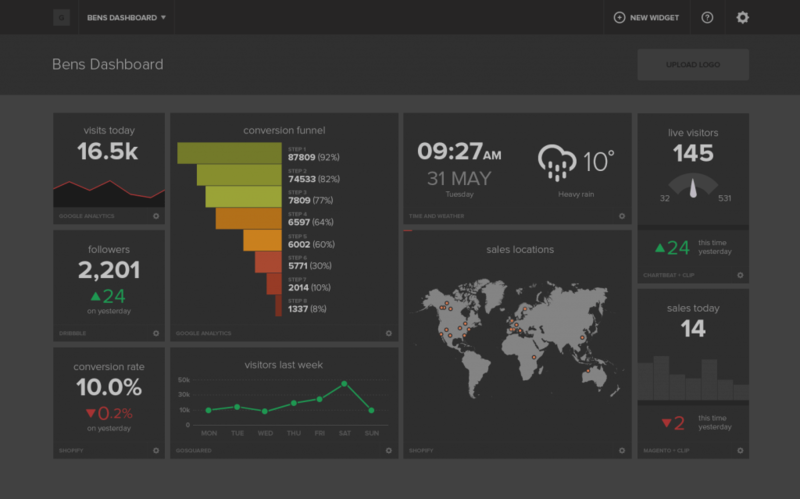 Megalytic simplifies analytics reports, while making them more insightful. 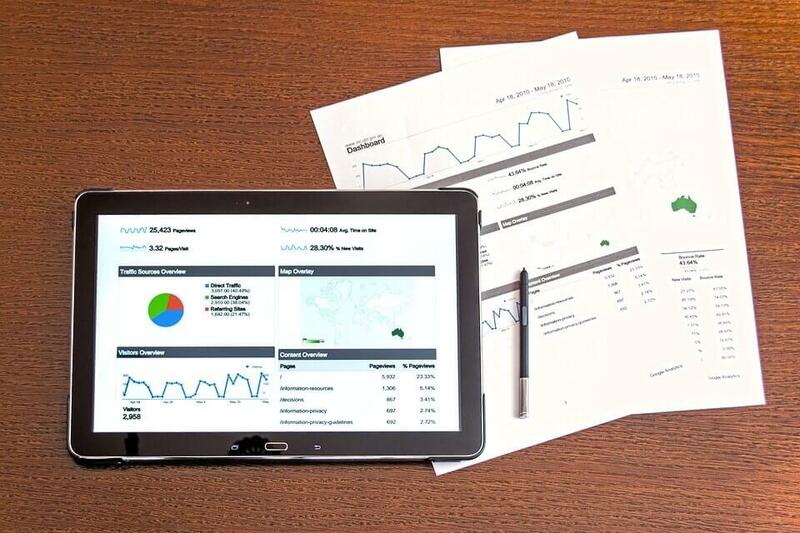 Benefits – Megalytic can eliminate redundant elements of digital analytics reports, making the elements that truly matter stand out to you and your company. Who’s it for? Megalytic is for digital agencies, marketers, and business owners. Pricing – Megalytic is available in four price tiers: Basic ($39.99/month), Standard ($99.99/month), Premium ($199.99/month), and Enterprise ($399.98/month). So, what’s the right tool for you? Getting a jump on your online competitors is easy with the help of any one of the aforementioned tools. Keep in mind, however, that your budget is the ultimate dictator of the program you choose to utilize. For agencies with larger budgets to invest in software, there are pricier, more-sophisticated tools available. You can glimpse some of these here! While these tools are useful, you’ll first need to work out which metrics you want to measure. Having a marketing manager or virtual chief marketing officer on the team to help work this out and then set up the tool, review, and make sense of all the data is even more beneficial! If you don’t have such a person on your team, we’d highly suggest hiring someone who has these skills as there are multiple benefits for adding a virtual CMO to your marketing team!